When you move to a new apartment and find it's a hellhole, and need something to occupy your time, why not let Cooking Mama show you the way? When he moved into a new apartment in a new city, Brendan Main was unpleasantly surprised to find that the place was - to put it bluntly - a complete hellhole that was virtually unlivable. But as he writes in Issue 240 of The Escapist, he and his wife soon found solace, comfort, and entertainment in throwing abandon to the wind and using Cooking Mama to help them make dinner. There we were, drooling over dishes we'd never tasted and craving flavors we didn't know existed. I looked at Colleen. Colleen looked at me. We had arrived at the same idea - the same terrible, awful, cockamamie idea: We needed to eat this food, right now, no matter what. We scratched out a game plan: We would unpack only our pots, pans and utensils. There was an Asian grocer just down the street for the ingredients. The kitchen was a complete write-off - neither the stove nor the sink worked at all - but we could jury rig a George Foreman grill and hot plate in the middle of the living room and fill out pots from the bathroom faucets. 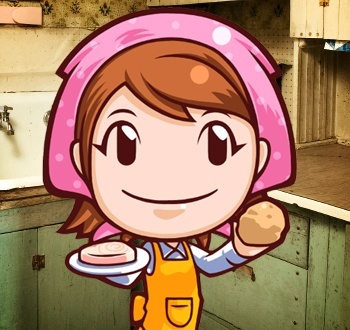 We had no phone, no internet, no cookbooks, no training ... but we did have Cooking Mama and a ferocious appetite. To find out if this Cooking Mama gambit would pay off (deliciously), read "Mama to the Rescue" in Issue 240 of The Escapist.